The Greater New York Councils Pinewood Derby finals are to be held 28 June, 2014 at Yankee Stadium. 1st, 2nd & 3rd place winners from the Aquehonga district pinewood derby, from Tigers, Wolves, Bears and Jr. &Sr Webelos are invited. What is the Youth Speaker & Honor Guard Training Seminar? The Aquehonga District Webelos-o-Ree, for Senior Webelos, will be held October 17 to 19, 2014. This year each Scout attendee will receive a commemorative 2014 Pinewood Derby Patch! Oooh, aaah, special! The Staten Island Mall has moved us to the courtyard outside of the JC Penney store, not in the center court as in years past. 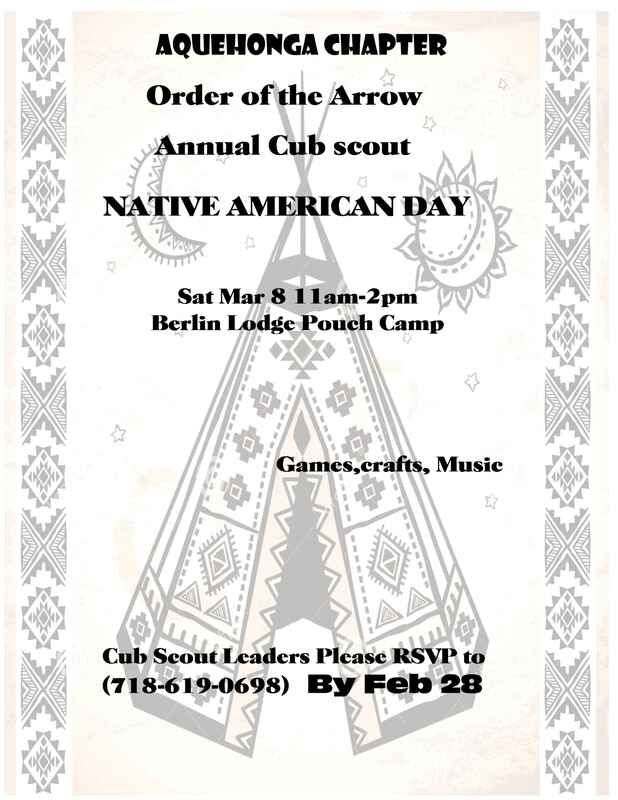 Please let your Scouts know and make announcements during your Den Meetings.